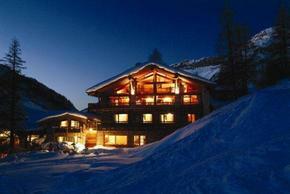 Luxury Chalets in Val D'Isere. Located close to the slopes at the top of Val D'Isere, our Luxury Chalets, Chalet Bergerie and Le Chardon, provide an intimate and cosy spot to relax after a hard day on the slopes. Request a pick-up from the Chalet staff or jump on the small Train blue for a short ride home. End the day with an outdoor Hot Tub / Jacuzzi with Champage served as you relax and unwind- relieve aching muscles and share stories of your favourite runs as the sun sets.